After he had already gathered his first musical experiences in the Tokyo “Underground” during the 80s, Kazuyoshi Saito started his big career as member of a band that he created with old school friends. When he left the band in 1991, he already had big plans to become a solo artist, devoid of any responsibilities of a band, in order to show his talent. With this he began sending demo tapes to several labels, on which he played a range of instruments himself. Through a series of events, he came to his first television appearance, which was broadcasted in 1992 by TBS. The talentscouts from the BMG Fan House that were present at this broadcast were fascinated by his charismatic performance and gave him a contract shortly after. In the summer of 2003 appeared a very intimate album, which, despite being only seven songs, gave alot of personal information about Kazuyoshi. For many critics and particularly the fans, he was, with this album, the big discovery of the year. With the second album, which appeared after a small tour in Spring 1994, Saito proved that he was an artist to take seriously, and not just a one-hit musician. His increasing popularity enabled him to give performances in bigger, nationally broadcasted television stations. 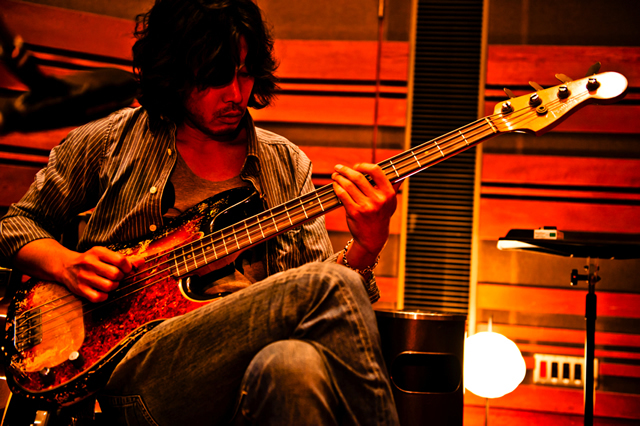 In the following three years four albums appeared, on which Kazuyoshi brought in new styles like jazz, even though it cost him a few early-days fans so that he could gain success. However, these albums reached rather high rankings in the Oricon Charts, which can be seen as a great success for representatives of his guild. From 1998 he took a small break from songwriting and released a best-of, as well as two live recordings. At the same time he began arranging his own events and university festivals, which were visited alot particularly by fans of folk-pop. At the end of 1999 he underwnt a radical change, not only did he end his contract with BMG to sign another with Victor Entertainment, he also began writing a large majority of his lyrics in English. Though his album COLD TUBE was very pop-orientated in comparison to his older works, he managed to keep his older style on a selection of the songs, therefore keeping his older fans happy. After this trip into new genre, he returned in 2001 to the concept that made him famous: folk rock with an acoustic guitar. With his album in 2002, he had just about come back to his rock origin. In 2004 he wanted to pay a tribute to one of his inspirational idols with the cover Yami no Kokuhaku (Exist In The Dark), which was used for Blue – A Tribute to Yutaka Ozaki. Aside from the concerts in memory of Yutaka Ozaki, Kazuyoshi performed for the first time in his career at Fuji Rock Festival. In the following year, Kazuyoshi occupied himself with a further homage, this time for the band The ROOSTERS(Z). At the end of 2005, he released two best-of albums, though since then things have gotten a little quieter around him.